So its been ages since my last blog!! I am still busy training people around Bedford and Milton Keynes. I would like to say well done to all my clients over the last few months and I have seen some real achievements from all. Over the last few months I have started a corporate contract with RedBull Racing, the Formula 1 team. 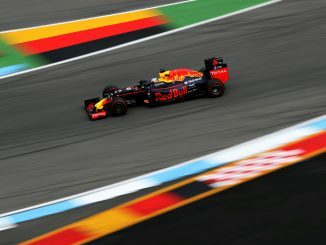 It has been refreshing to see how motivated and dedicated the staff at RedBull Racing are with regards to their fitness. I am currently working on new innovative ways of exercise training in order to keep clients interested and motivated. The personal training industry is changing at a rate of knots. I have started to focusing on clients wellbeing and personal achievement rather than the old fashioned weight loss, toning and muscle building, which tend to be a bi product of the primary goals anyway . By focusing on these primary goals of wellbeing and personal achievement I have found clients are more motivated and enjoy the journey more!